I know the ergo is already known, but every time I put mine on I think "man I love this thing" and I have been thinking that for 1.5 years. I upgraded from the moby to the ergo when my son reached 6 months and have not looked back. The ergo is versatile since it can be worn with the child in front, on the hip, or on back. 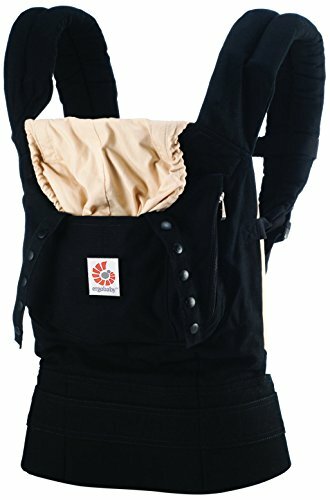 It has a large pocket where I carry diaper changing equipment, an umbrella, which I use to protect my son from the sun and rain, and a number of other things depending on the trip. Even when I was pregnant with my second child, I still found it comfortable to carry my 27-pound son on my back. The best part, as my son was growing and had trouble napping or was fussy, I could strap him to my back and take him for a walk. He would cuddle in, relax and enjoy the scenery. I feel like I could go on forever about the ergo, but I will leave it here and let you discover some of your own joys with the ergo. I find it awesome.